The diamonds mined most often around the world are formed in the Earth's mantle at depths of around 150-250 kilometers (93-155 miles). They are created by extreme pressure and temperature of at least 1050 degrees Celsius (1922 degrees Fahrenheit). Only a small amount of these diamonds make it to mineable regions since most are destroyed in the process of reaching the Earth's crust via deep source volcanic eruptions. "Although only composing 1 percent of the total mined diamonds, it seems lots of large and high-purity diamonds are superdeep diamonds, so they have good value as gems," said Feng Zhu the lead author of the new study in Geophysical Research Letters, a journal of the American Geophysical Union, who was a post-doctoral geology researcher at the University of Michigan when he performed the research. The new study seeks to explain this phenomenon. Zhu, now a post-doctoral researcher at the University of Hawai'i, and his colleagues believe the two superdeep areas where diamonds are formed are rich in the gems due to high production rates. The new study explains what drives the diamond-producing reaction in some areas and what slows it down in other areas. According to the authors, diamonds can form anywhere in the mantle, which extends from about 35 to 2,890 kilometers (21-1,800 miles) below the Earth's surface. However, humans rarely see most of the diamonds formed. 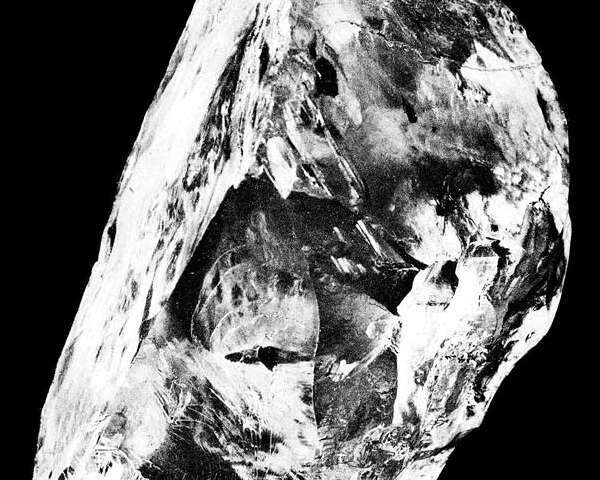 Very few diamonds survive the volcanic trip to the Earth's crust where we can sample them. "In our hypothesis, the production of diamonds at any depth in the mantle is possible, it's just the production rate is different, so they have a different chance to be sampled in the crust," Zhu said. In order to mimic the extreme pressures experienced deep inside planets, the study's authors used diamond anvil cells and a 1,000-ton multi-anvil apparatus at the University of Michigan. Both these devices allow researchers to compress sub-millimeter-sized material in extreme pressures. They compressed magnesium carbonate powder with iron foil in extreme heats and managed to create minuscule diamond grains visible through scanning electron microscopes. In the shallower region rich in superdeep diamond formation, 250-450 kilometers (155-279 miles) down, a subducting tectonic plate pushes under the Earth's mantle. This supplies plenty of carbonate, which creates "factories on a conveyor belt" for diamonds when combined with the iron from the mantle, the authors said. High temperatures promote reactions which form diamonds, but pressure does the opposite. At depths roughly 475 kilometers (295 miles) below the surface, the pressure increases, and the reactions slow down drastically, the authors said. That's why few diamonds are found near the Earth surface coming from between 450-600 kilometers (372-497 miles). "When your pressure reaches the diamond stable region, it will form. But when you increase pressure it will form at lower rates. You have a trade off there," Zhu said. Zhu said the new study adds to scientists' understanding of the Earth's mantle, about which relatively little is known for sure. "Superdeep diamond inclusions bring us the only mineral samples from the Earth's deep mantle," he said. "Seeing is believing, and these inclusions provide a solid ground for the studies on the inaccessible mantle."